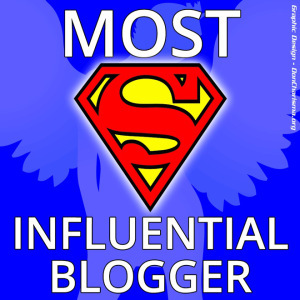 I am very happy to receive an award, “The Most Influential Blogger Award,” by Lisa at A Day In The Life. She has the best blog with great post about people, places, nature …life. You should really pay a visit to her blog. Thanks so much for the nomination!! I am truly honored to receive this award!! Announce your win with a blog post and thank the Blogger who nominated you. Present some deserving Bloggers with the Award. Link your nominees in the post and let them know they are nominated with a comment (or a pingback). Include an embedded video of your current favorite song (from YouTube etc, just copy and paste the link into your WordPress editor). I am not sure if I have a current favorite song, but I have always loved OneRepublic, not to be confused with One Direction. This is definitely one of my most favorite songs and always puts me in a good mood. To all of you a big Congratulations!! Each of you have truly influenced me through your blog and this is my way to show my appreciation. Thanks again to A Day in the Life for nominating me! Wishing you all the best and as always Happy Blogging! Congrats to you Arlene and thank you for this kind nomination! Thank you Sue! And you are most welcome!! 🙂 Happy Thursday! You are a blessing. Nuff said! our blog, but also your personality, which comes across so clearly in your blog and your wonderful comments, has influenced me. I’m so glad to have ‘met’ such a genuine individual! And thank you warmly for my award. It means a lot. Best wishes to you as always, Emma x.
Whoops – that seems to have become rather disconnected in transit! Would you correct the ‘your’ please – thanks Arl! ex. Congrats Arl! Fun to find out what one of your songs you enjoy is…very creative video they made! 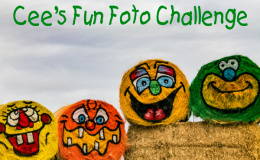 Thank you so much for nominating me….yay! 🙂 Feeling encouraged! 😀 Thanks Arl! You are very welcome Lori!! Happy Thursday! Congrats on receiving this award!! Thanks so much for passing it on to all of us too. Haha, yes I think we are Angie! 🙂 You are so welcome. Thank you for hosting Fiesta Friday! It has made cooking fun! There are lots of videos playing inside my head. 😀 Thanks again, Arl. Congratzz for your new Award😊!! Today I went through your blog and i found it really interesting and inspiring as well.. Even started following! !Being a newbie to this blog world, your wonderful blog just amazed me..